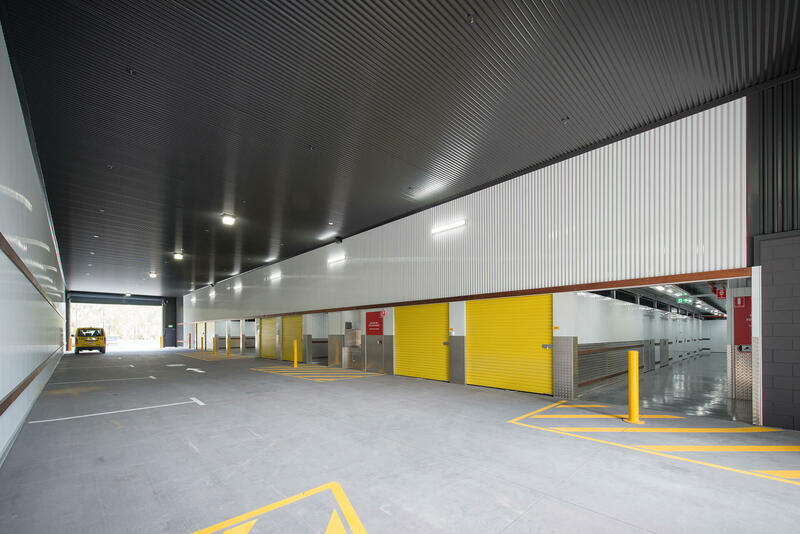 Considerations of the cost for a self-storage facility are very vital. Most people however tend to overlook the important the important aspects such as drawing a budget for the whole building process. The latter is a very vital step if you are planning on putting up a new facility. This is because it helps in understanding the basics of what exactly goes into the development of a project and the estimated prices involved. The concept budget can thereafter be updated using typical per-u cost and site specifics. Lastly, you need to confirm the project’s feasibility. How much will it cost to build and operate the facility? How much do you expect to earn in sales in terms of merchandise and rents? How much profit will make the investment worthwhile? What is your ultimate or long term goal for the investment? In order to tackle the first question, you need to consider two factors. First, you need to ask yourself how much of each unit types and size of the products you have room for on your land. Secondly, you need to consider the rate you will charge for each product. For the rate issue, you can choose to charge the same amount as that of your competitors for the same products. You are however allowed to charge more if your facility is more convenient compared to that of your competitors. It is not advisable to project a lower cost per square foot for a storage facility. This is because the typical land requirements will be inaccurate. By so doing, soft costs such as design fees, franchise fees, banking & professional fees may get omitted. On top of this, construction requirements such as significant cuts, off-site improvements, special zoning requirements and sledge that aren’t included may significantly increase the costs for construction. You should use a piece of land that is in an area that has an unmet demand for self-storage and has significant drive-by traffic. You should be careful not to use a piece of land simply because the price is low or because you own it. You should seek the help of a commercial real estate broker to help you look at different markets to give the land price and to enable you to update your concept budget appropriately. Thereafter, you can now determine the best opportunities for your needs depending on your liquid assets. You also get to investigate the design, land and regulatory & banking requirements in more details. This helps you to decipher you are ready to go ahead, or get the realization that you might not be having the necessary capital to do the set up. In the unfortunate event that you don’t have the cash, you can look for a partner with the cash or land equity; or find an aggressive lender all together. An experienced developer can help you reduce the figures greatly. Once you’ve found a piece of land that suite your requirements, you can now go on ahead and update your concept budget. This is based on the proposed square footage, specific land price, initial conversations with the lenders, contractors, designers and other relevant experts. For your estimate to be accurate your investigation must be detailed and the concept has to be good enough too. The topography, land quality, local planning and zoning requirements have to be taken into consideration for a perfect conceptual plan. Once you have the preliminary budget, you can now go through specific design options and restrictions, including the overall feasibility of the project. Scrimping on the design and planning of your project can be harbor you from attaining your goals. You actually need get like two or three bids to ensure that you get good pricing. If you realize that there are very large differences between the bids, you should examine and dig deeper to ascertain why. Written specifications and a bid package should never be replaced with design plans. The detailed work to be completed needs to be summarized with a construction bid. You need to include a note that ensures that all the payments can’t be done unless they are approved by the owner. This also includes a payment schedule. You can for instance state that the payments will be done within a certain number of days after receiving an invoice for completed work. Some additional items that can be included here include survey stakeout, permit fee, insurance and temporary power. Site work: This includes mass earth work, rough grading, final grading, sub-base, compaction and quantities. Drainage: this includes piping, catch basins, end of job cleaning and storm water-detention basin. Landscaping: This includes the topsoil, landscape plantings, lawn establishment, watering and a sprinkler system if need be. Concrete foundation: This caters for how the foundation will be built and finished, concrete strength, minimum thickness, floating slab details and testing of the foundation. Building erection: This includes site preparation before putting up the facility. It also entails unloading, leftover materials, ownership of scrap and start and finish dates. Erosion control: This includes silt fence, sedimentation traps, inspections and entrance. Building materials: This includes site-specific siding materials, insulation, HVAC for climate control and roof painting. A key point worth noting is that a 15% contingency fee is to be added to the contractor’s bottom line. The more detailed the specifications, bid and plans, the more affordable it will be. Additionally, you will have extras and overruns. Whatever the budget phase you are in, be it the concept, preliminary or final phase; you can use the guidelines discussed above to get your self-storage facility up and running. Also, some of the potential hidden costs that you may incur are also outlined. This will therefore ensure that you shorten the development time and end up having a product that meets your needs.